Fountain pens make me want to write all sorts of magnificent, wonderful things. Often, it ends up as messy smudges or poor attempts at calligraphy. How about you? Do you create magnificent, wonderful things? 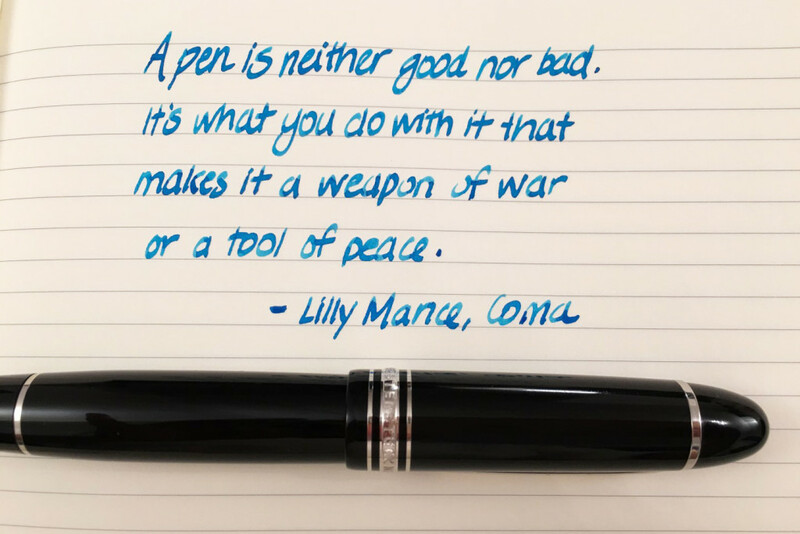 This entry was posted in Vintage Pens and tagged Handwritten, Handwritten Post, Montblanc, Quotes. Bookmark the permalink. Follow any comments here with the RSS feed for this post. Post a comment or leave a trackback: Trackback URL.